When Farmer Brown's pumpkin goes missing, the Berenstain Bears help crack the case in this classic Beginner Book by Stan and Jan Berenstain. While Brother Bear and Sister Bear and their friends carefully follow the clues, Father Bear constantly jumps to the wrong conclusions. 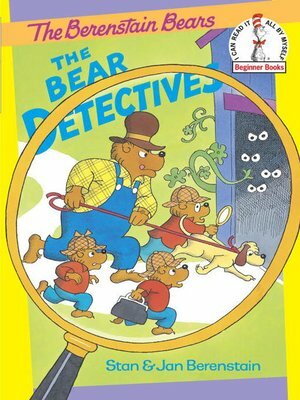 Full of excitement and surprises, The Bear Detectives will have young mystery lovers eager to put on their detective hats and read along.